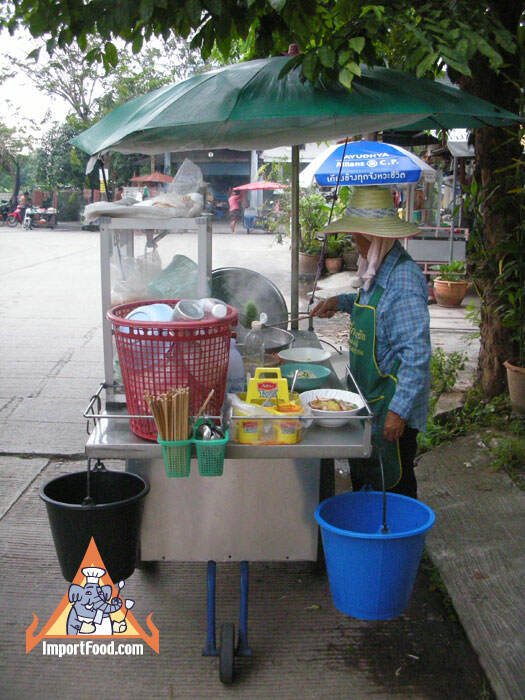 This video of a Pok Pok noodle cart shows an ancient way of selling food which includes a familiar sound--in this case the sound comes from a bamboo block. 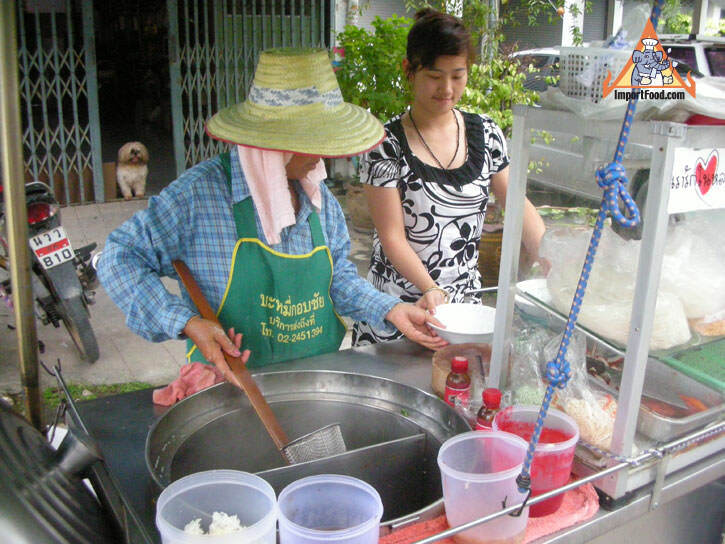 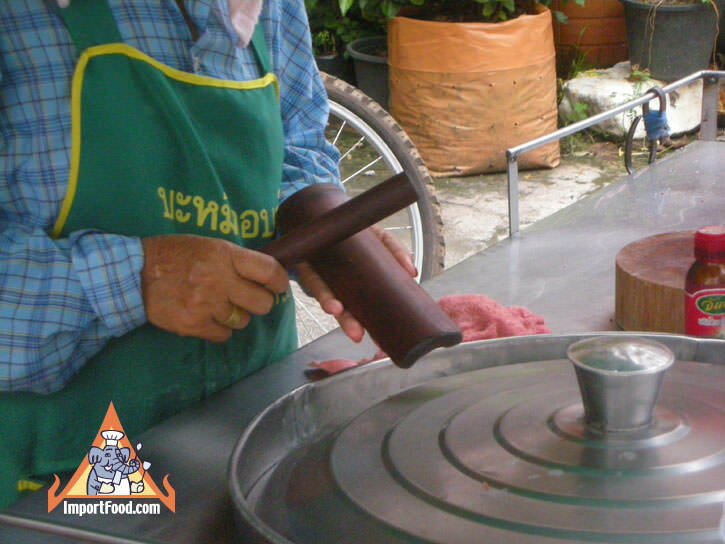 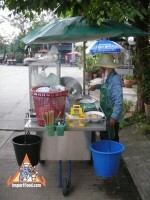 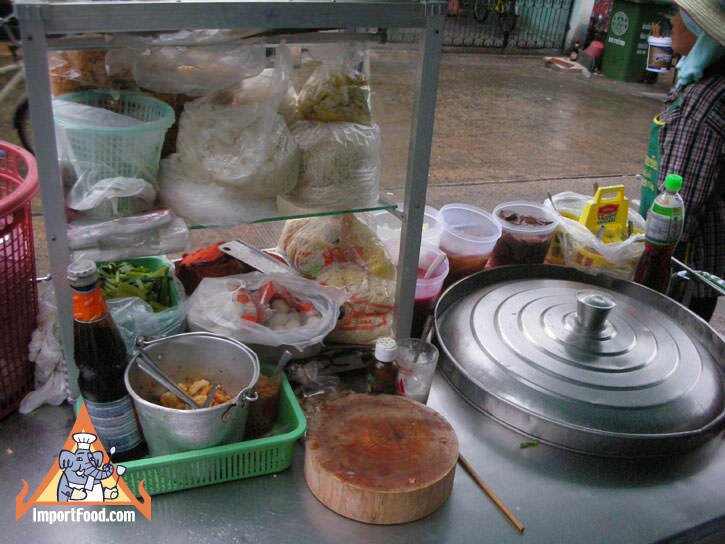 Hawkers use all forms of noise to sell items in Thailand, the bamboo block is common for pok pok carts ("pok pok" is the sound made from the bamboo). 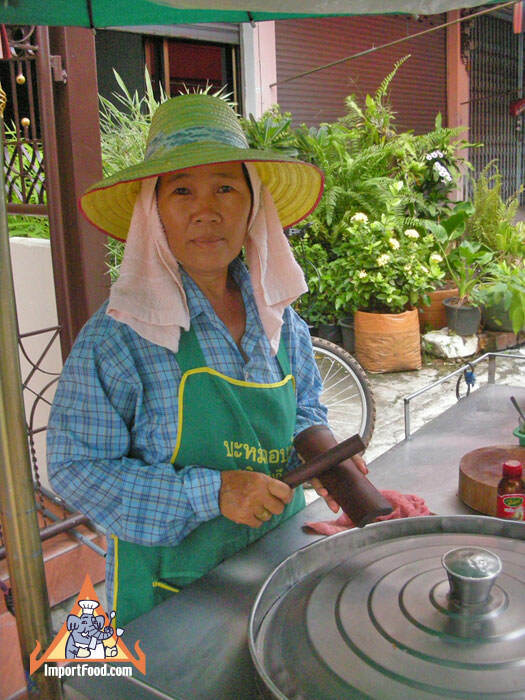 Other sounds you might hear: horns and even singing the same song loudly at the approach of a customer's house. 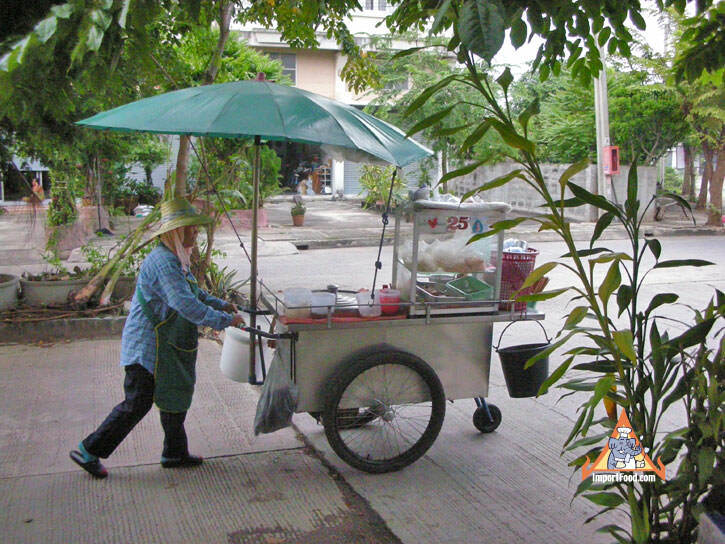 This custom, likely started by Chinese hawkers, involves repeating the same sound while passing through a neighborhood. 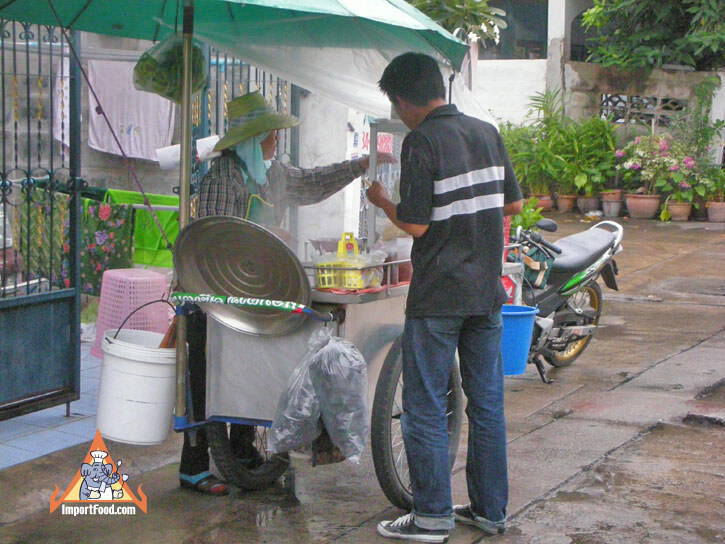 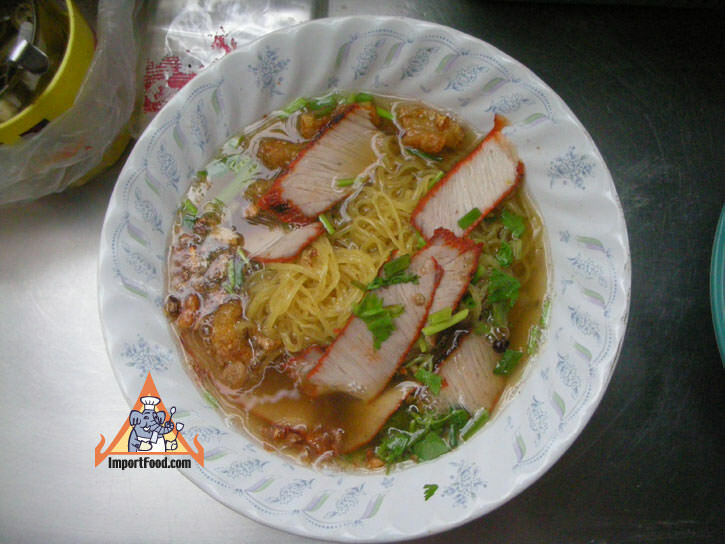 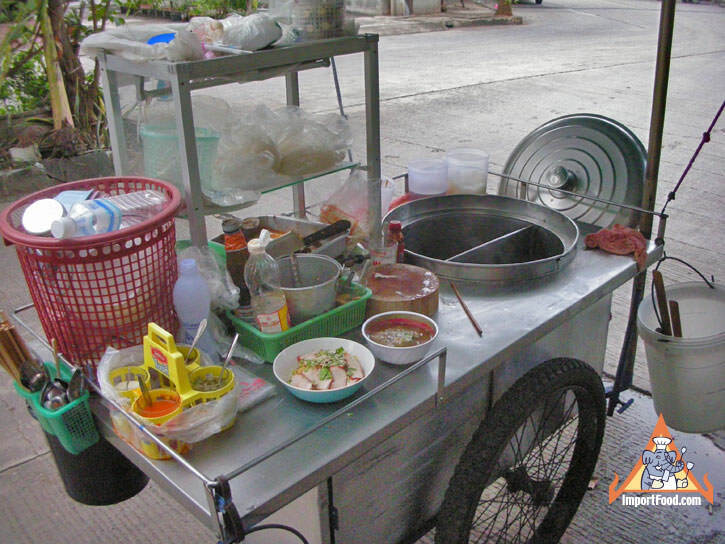 We love Pok Pok noodle carts, and we hope you enjoy this video and take the time to leave a comment below.